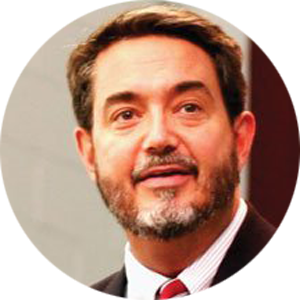 Dr. Scott Hahn is an accomplished author, speaker, and professor who is dedicated to bringing the Word of God to his fellow brothers and sisters in Christ. He has written numerous bestselling books, including The Lamb’s Supper, Reasons to Believe, Rome Sweet Rome (co-authored by his wife, Kimberly), and The Catholic Bible Dictionary. Hahn received his bachelor of arts with a triple major in theology, philosophy, and economics from Grove City College in Pennsylvania in 1979. He went on to obtain his master’s of divinity from Gordon-Conwell Theological Seminary in 1982, and his doctorate in biblical theology from Marquette University in 1995. With a background in Protestant ministry, Hahn entered the Catholic Church at the Easter Vigil in 1986. Currently, Hahn is a professor of theology and Scripture at Franciscan University of Steubenville, where he has taught for more than twenty-three years. He also is the founder and director of the Saint Paul Center for Biblical Theology. Hahn’s passionate mission to engage fellow Catholics to read the Bible is translated into the presentations he gives both nationally and internationally on topics ranging from Scripture to the Catholic faith. Hundreds of these talks have been produced on audio and video by St. Joseph Communications and have been effective in helping thousands of Protestants and fallen away Catholics embrace the Catholic faith. Hahn and his wife Kimberly have six children and five grandchildren.